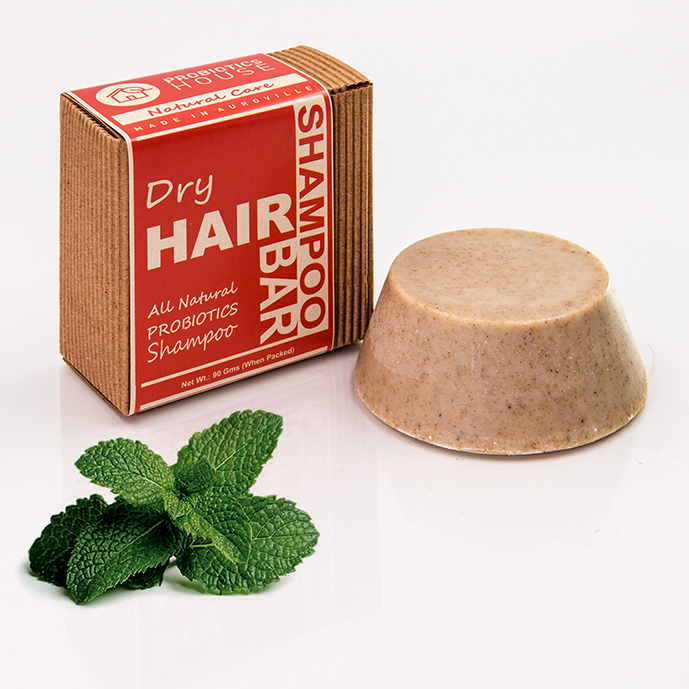 The shampoo bar enhances hair beauty and makes your hair soft, beautiful, radiant and thick. It is best for maintaining the health of both scalp and hair. It is high in vitamins A, C, K and D, along with other antioxidants that are important for hair growth. This shampoo bar contains Hibiscus powder which is the best for conditioning.Castor oil is a natural antibacterial and antifungal properties and is high in Vitamin E, minerals, proteins, and Omega 6 and 9 beneficial fatty acids.Brahmi powder is a traditional remedy that is known to make hair thicker and nourished, but also relieve itchy scalps, promotes overall health of the hair, prevent of split ends, reduce of hair loss, reduce of dandruff. Shikakai powder is the solution to incessant hair fall, luster less hairs. Coconut Oil stimulates hair growth by getting deep into its follicles.Almond Oil adds shine & nourishes the scalp.Avocado oil is good for moisturizing dry, brittle, and damaged hair from poor nutrition, heat styling, chemical treatments and environmental pollution.